A showcase highlighting the cultural heritage of Hope's international students was held Saturday, Nov. 16. 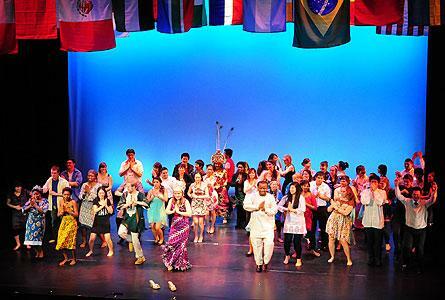 IMAGES: A Reflection of Cultures featured over 60 students. A grant to Hope College from the Lilly Fellows Program in the Humanities and Arts will support on-going discussion of how different traditions in Christianity can work together within colleges and universities. Dr. Patrice Rankine, dean for the arts and humanities and professor of Classics at Hope College, is author of the book “Aristotle and Black Drama: A Theater of Civil Disobedience,” published recently by Baylor University Press of Waco, Texas.